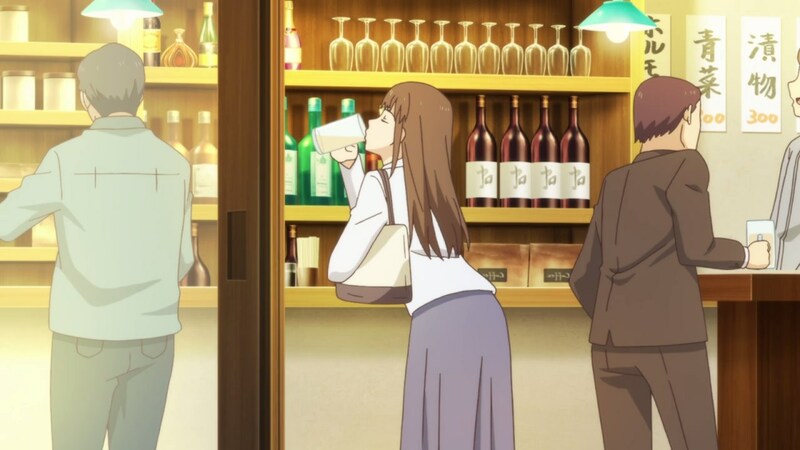 Here’s Hina Tachibana, drinking beer by herself at a bar because teaching students is stressful! 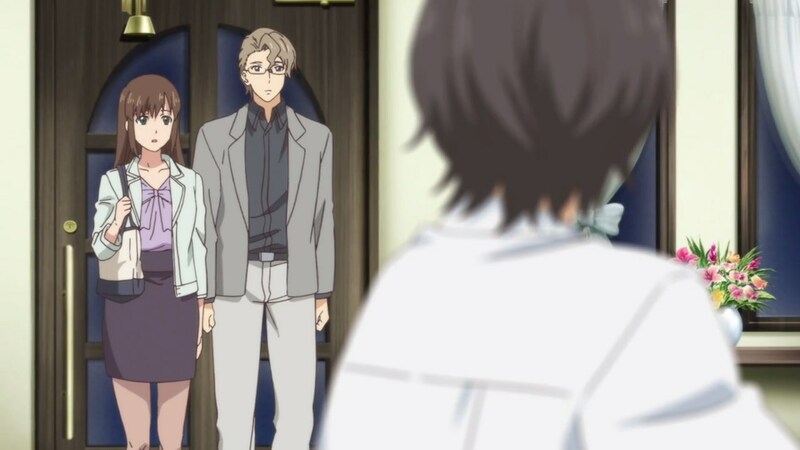 And here’s both Rui Tachibana and Natsuo Fujii, stalking Hina-nee because they expects her boyfriend to show up, which he didn’t. 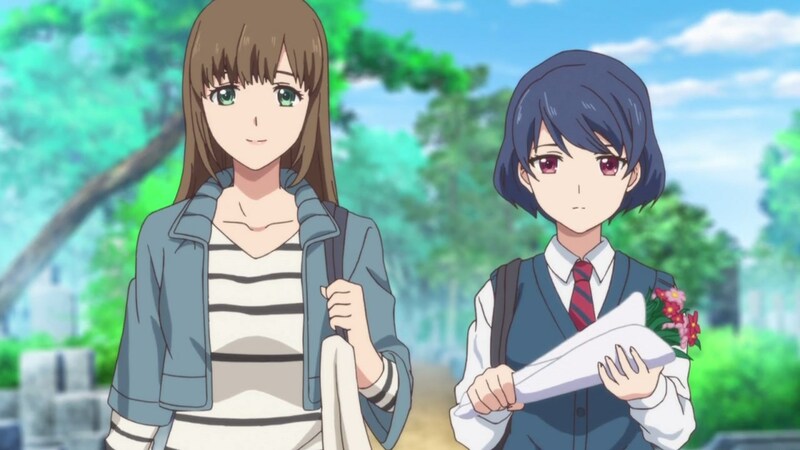 …both of them took her phone in hopes of calling Hina’s boyfriend, Shuu Hagiwara, and told him to break up with Hina-nee. Unfortunately, there’s some minor difficulties where Rui froze up when Shuu Hagiwara picked up the call. She got awkward and hang up the phone in embarassment. Well, seems that telling Hagiwara to break up with Hina-nee went out of the window. Now then, let’s move onto the next scene as Masaki Kobayashi (or Mari Komori) made a joke about their failed attempt to split them apart. Um Mari, it’s no laughing matter for both Natsuo and Rui. 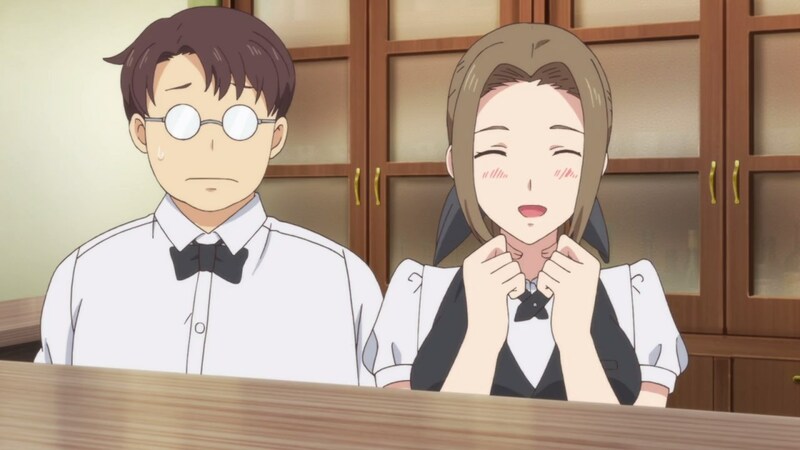 I mean, it would get worse if Hina Tachibana and her boyfriend arrive at her coffee shop. 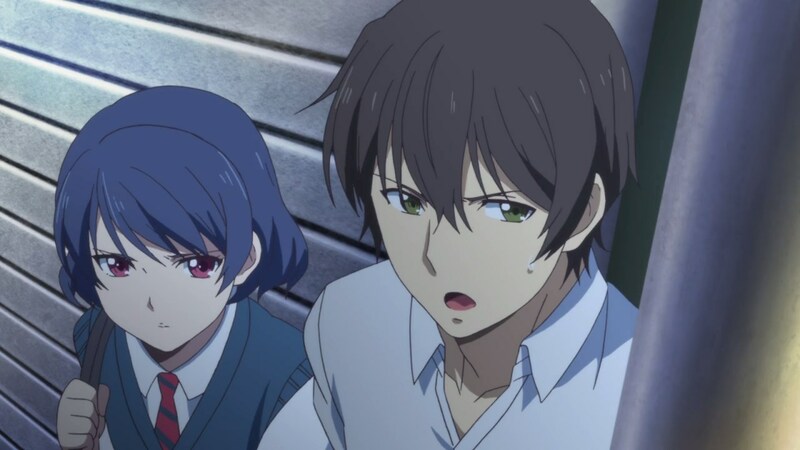 Oh and speaking of the devil, looks like Hina-nee and her boyfriend arrived at the wrong place and at the wrong time. What an awkward meeting there! 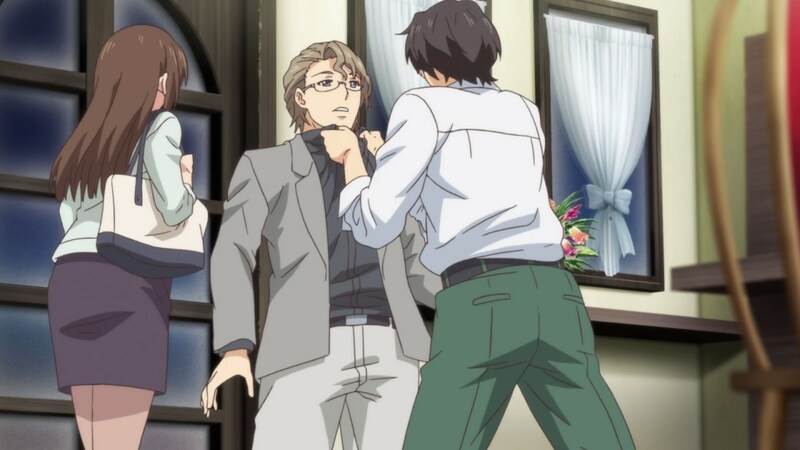 However, that doesn’t stop Natsuo Fujii for having a fistful against Hina’s boyfriend as Natsuo told him to break up already. 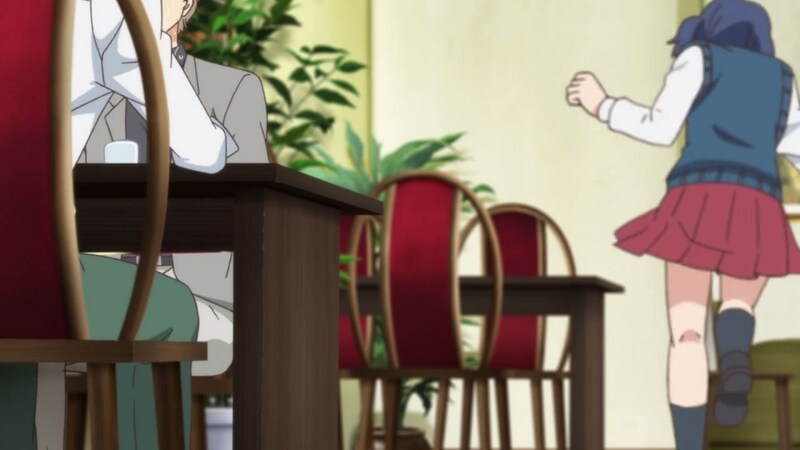 Unfortunately for Natsuo, Master Mari told him that violence is not allowed at his coffee shop. Otherwise, he might call the police and arrest both of them. 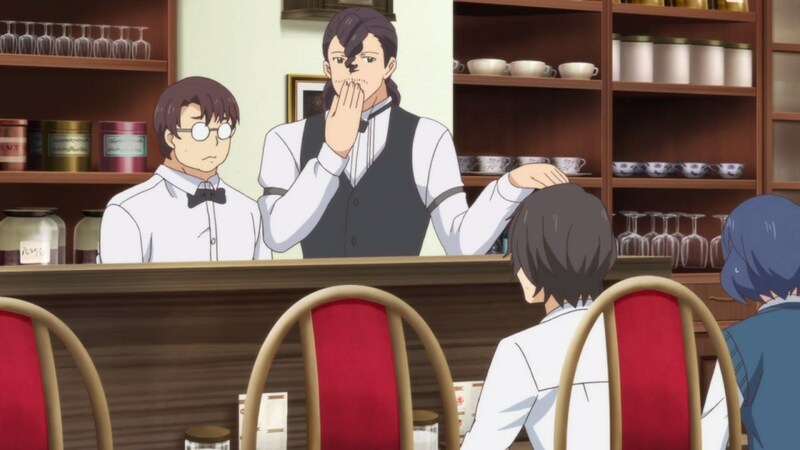 On the other hand, some of the staff are curious to see how this unexpected drama of debauchery played out, much to Fumiya Kurimoto’s annoyance. In any case, let’s introduce Hina Tachibana’s boyfriend shall we? 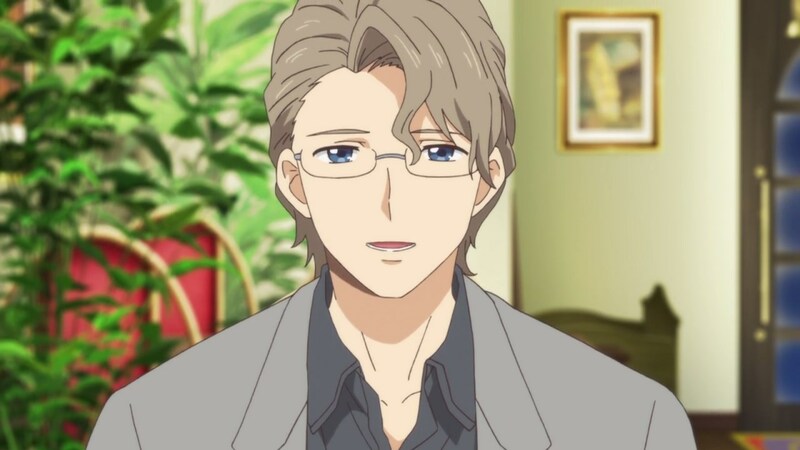 This is Shuu Hagiwara, a university professor who is married with no children. So wait, both he and the one that Hina talked to are one and the same huh? Anyways, Shuu admits that it’s wrong to date someone despite being married to his wife, but his love for Hina is true. 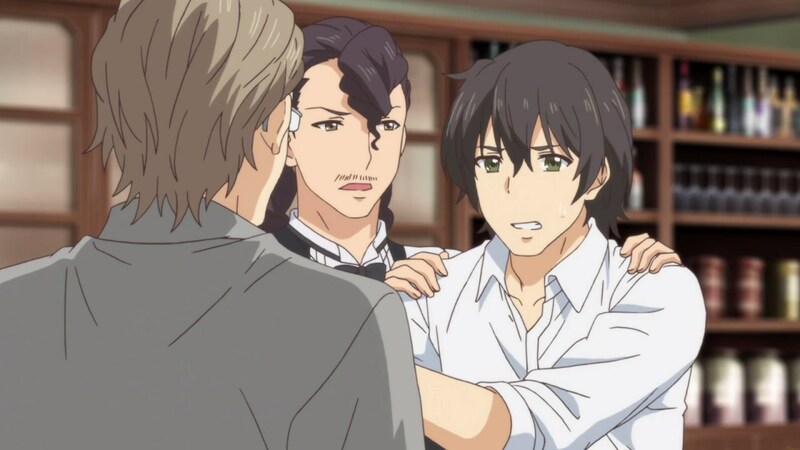 It’s just that Hagiwara needs some time to file a divorce towards his wife. …and then ran outside in tears. Seems that she can’t stand having her sister dating with a married man. 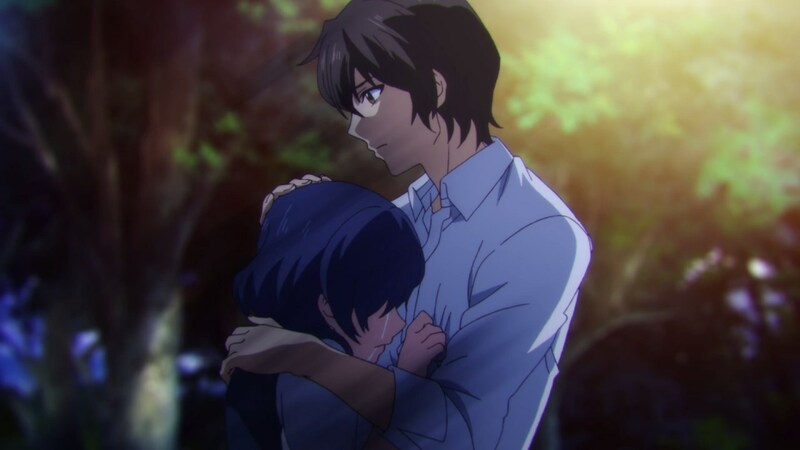 For the time being, the only thing that Rui can do is to cry out with Natsuo comforting her. For them, it’s frustating that Hina-nee persisted of dating someone like Shuu Hagiwara. 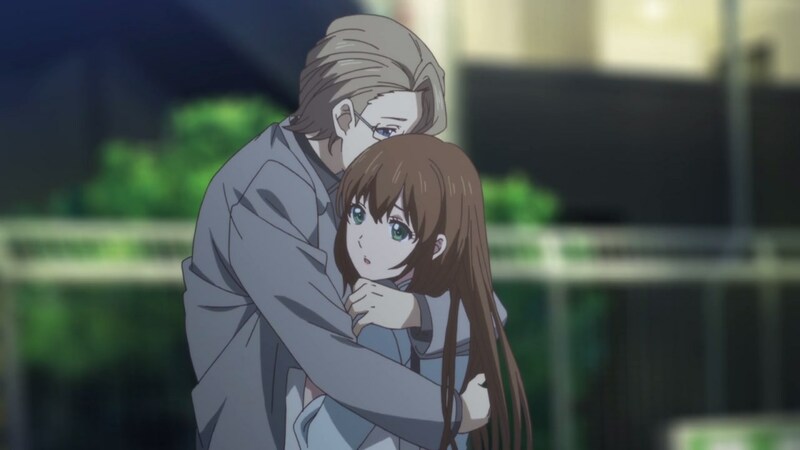 But speaking of Shuu Hagiwara, it appears that the reason why Natsuo Fujii got angry at him was because Shuu believes that he’s in love with Hina Tachibana. Of course, Hina will find it silly that her little step-brother has some romantic feelings for her. 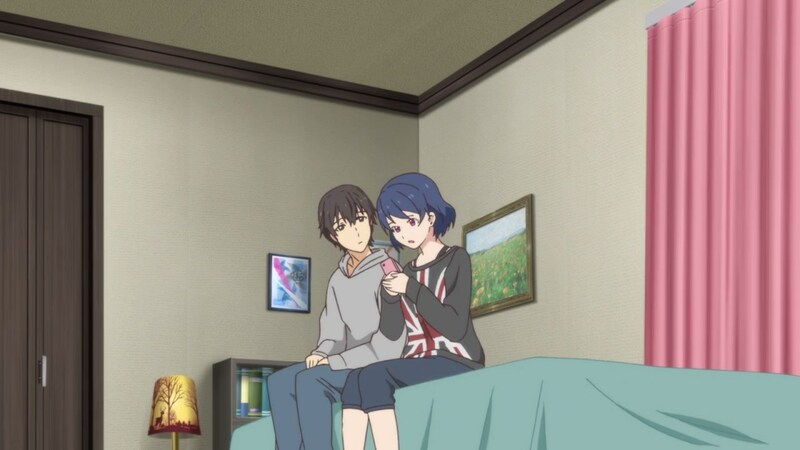 Then again, Natsuo’s feelings for Hina-nee is genuine despite being step-siblings, it’s just that she didn’t pay attention to it. 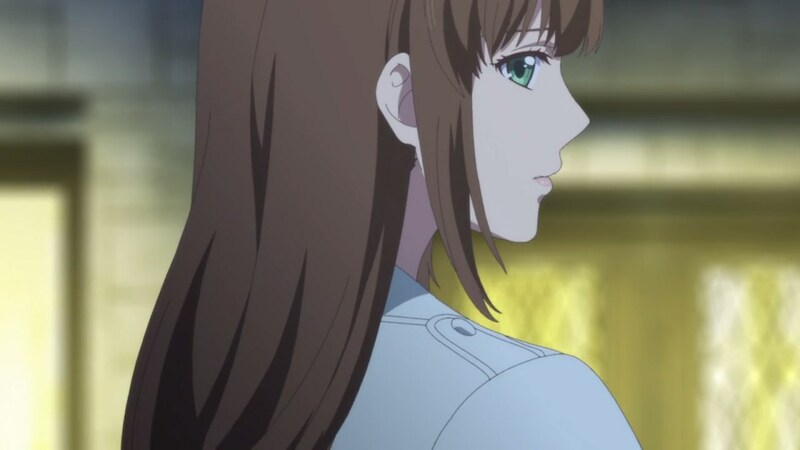 With that said, it appears that Shuu Hagiwara will have to break up with Hina Tachibana for the time being. 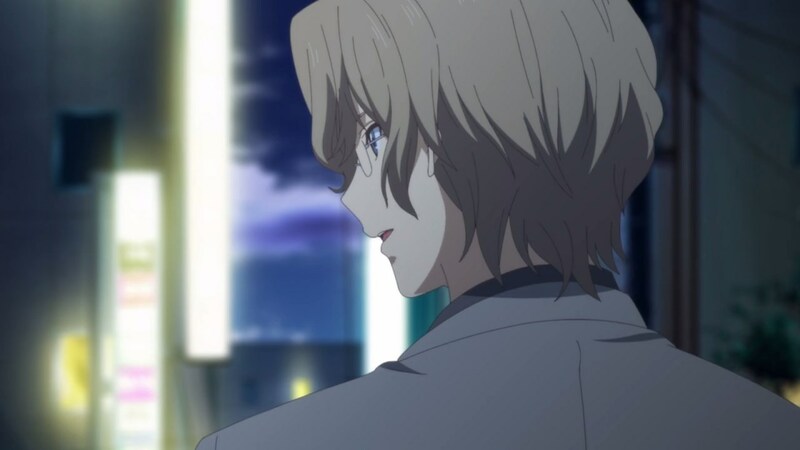 After all, it’s not the right time to have a romantic relationship, especially Shuu Hagiwara when he currently has a wife. 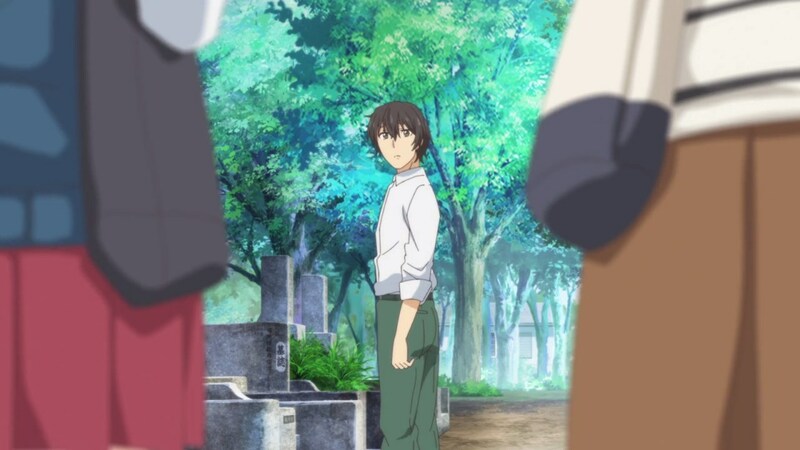 One last thing, here’s Natsuo Fujii as he visits his mother’s grave when both Rui and Hina-nee appeared to pay their respects. 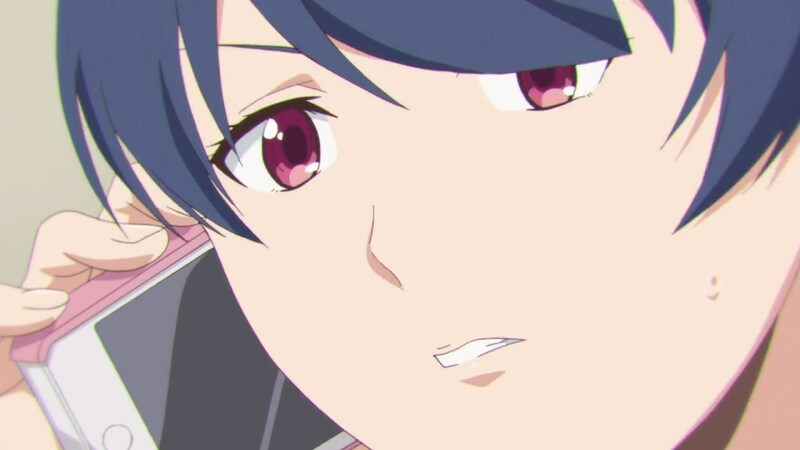 And while Hina-nee told Natsuo that she’d already broke up with Shuu Hagiwara, which he and Rui felt a sigh of relief there, it appears that this awkward relationship between Natsuo and his two step-sisters will get even more complicated from now on. With that said, I’ll see you next time and really, who knows what challenges awaits them. 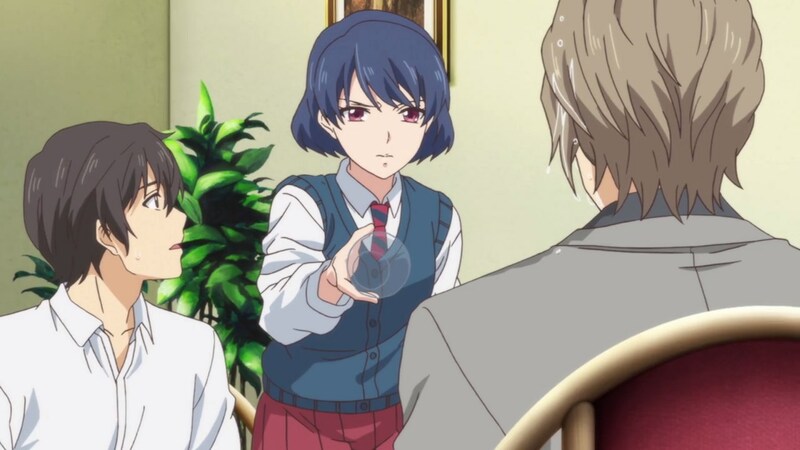 This entry was posted in 2018 Anime Season, Domestic Girlfriend, Winter 2018 (January – March 2019) and tagged #ドメカノ, 2018, anime, DomeKano, Domestic Girlfriend, season. Bookmark the permalink.